Change the number in the Units box & click the Add to Cart button. Note: The number of Units represents the Total number of this product in the cart. 11 Exclusive New Projects & 13 of some of my most popular plans! Challenging & revolutionary approaches to the Art of Intarsia. 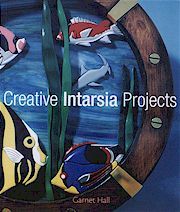 20 great projects, colour illustrations, 96 pages and step by step detailed instruction on the great Craft Art Form of Intarsia. 14 Challenging New Projects designed to move Intarsia forward as an art form! Creative new approaches to materials and wood surface preparation. Detailed step by step instructions and colour pictures take you through every aspect of Intarsia. By the time you are done all 20 projects you will be well on your way to being an Intarsia Artist. 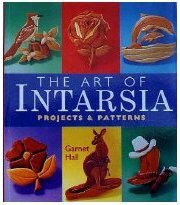 This is my third book on Intarsia and I think it has the most interesting and challenging patterns of the three. I have tried to stretch the boundaries of the art form to challenge your imagination. I wanted to show how Intarsia could be used to decorate a box or a cabinet door, be applied to different backgrounds, create back-less Intarsia and even a real Intarsia Piggy Bank. My wife is an avid Quilter and after watching her work, I have gained a real appreciation for the craft of Quilting. I realized it was possible to incorporate Intarsia designs into quilting so I have included a project that can be easily done as a wood Intarsia piece or as a quilt hanging, which was done by my wife of course. And finally, I have a project done with a new tool called "The Mirror Imaging Tool". This tool allows you to make a project that fits to within 1000's of an inch. The project can also be done the old way. This new tool could revolutionize the way Intarsia is done. 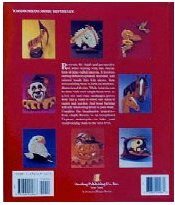 The book gives detailed instruction on how to do an Intarsia project with the aid of lots of full color pictures. Every aspect is covered from wood to tools, from which blade to use to which finish looks best. There is an also a chapter on pricing your work. In all, there are 24 projects in this book. 11 are exclusive to the book and the rest are some old favorites. I trust you will find the book informative and a good value for $17.95 Canadian funds (Book listed US price)! Intarsia has no limitations as to design, material or colour. Some of these projects use MDF board which is painted for some very interesting effects. Other wood surfaces are sandblasted, some are worked with a wire brush and some are even textured with bolts or leather stamps. The degree of difficulty varies from intermediate to challenging. Each of the 14 project plans present their own unique challenges which I hope will cause you to take your Intarsia skills to a whole new level. Wizard And Dragon just in time for the "Rings" and "Young Harry"
A varied array of interesting projects that should be enough to keep you busy for quite a while! Only $27.95 Canadian funds! See above to add to this item to your Shopping Cart. It's done. I've been working on this book project for almost 2 years and I was beginning to wonder if it would ever become a reality. The time and effort was worth it, I am very happy with the results. 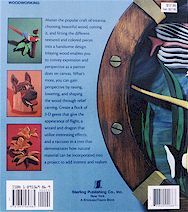 I had been asked repeatedly for a good, detailed "How To Book" on Intarsia. I hope I have accomplished that in this book. A step by step, detailed, colour illustrated book that will take you through to finished projects. Whenever possible I tried to offer alternative methods of doing the various steps, not just my way. A different method may suit your circumstances better. Introduction and History: it's fascinating to learn where Intarsia originated. Safety: I spent extra time on safety. Intarsia is a very safe craft/art form for the most part. Safety concerns of the various tools and dust collection systems are covered in detail. Finding Suitable Wood: places you are likely to find the woods used in Intarsia woodworking. Drying Wood: how to make sure the wood you use is dry and how to dry it if necessary. Choosing Wood for Colour: wood is the palette you have to create your Intarsia works of art. I have listed the species of wood that will give you all the colours of the rainbow. 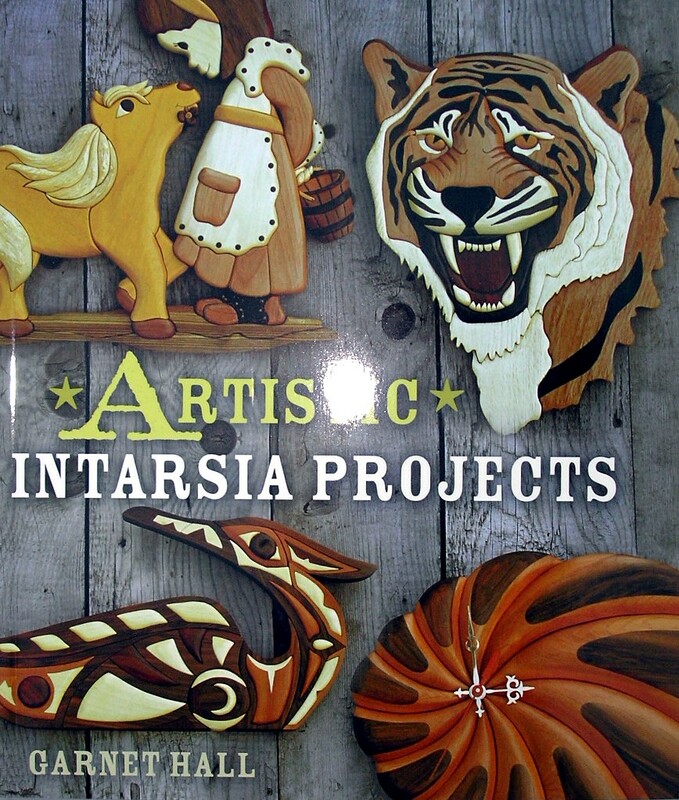 Intarsia Tools: you don't need a lot of fancy tools to create Intarsia projects, but the right tools make the work easier and the results better. 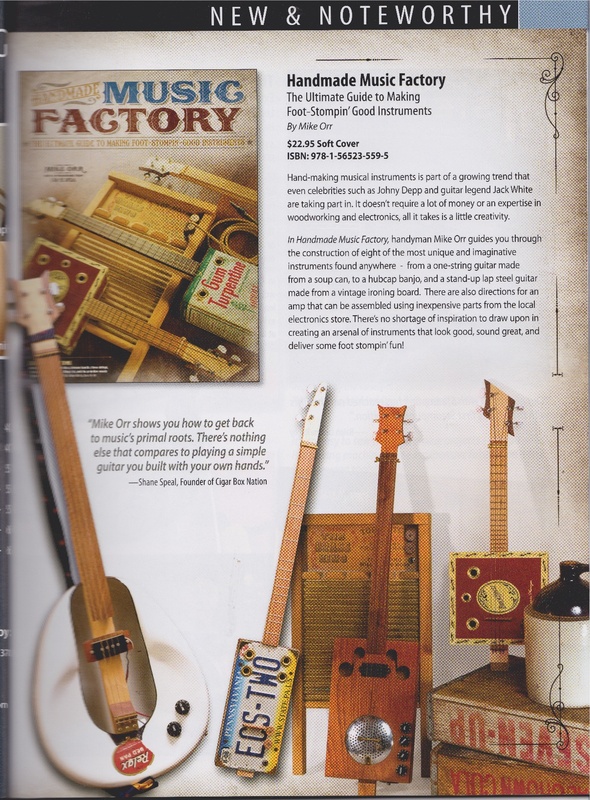 Working With Patterns: various methods of transferring a pattern to the wood are discussed and illustrated. Fitting The Pieces: probably the most difficult part technically. I have been doing Intarsia for a lot of years and I feel I have some tips to pass on to make fitting a lot easier. Raising and Lowering Techniques: how to raise and lower the pieces of a project to give it perspective. Shaping: how a project is shaped can make or break it. There is a number of different styles of shaping. It's a step were you can get very creative. I take a detailed look at this important step and the various tools used to get the different results. Backing and Glue Up: a couple different ways of doing the back. Glue up steps are given for each project. Finishing: another very important step. All the work you have done to get the project to this point can be ruined with a poor finish. Different types of finishes are discussed and various ways of applying them. 20 project plans: 10 new projects exclusive to the book and 10 old favourites. See below for pictures of the completed projects. Pricing Your Work: I finished the book with a section on pricing your work. This can be one of the most difficult things to do. How to get a fair return for your work without pricing yourself out of the market. This is one of the questions I am asked most often at Seminars, trade shows and classes. of these 10 Exclusive Project Plans. Plus 10 Old Favourite Project Plans! of these 10 old favourite patterns. The first project in the book is a simple flower which I go through in detail step by step. After completing the flower you will have a good grounding in the basics and will be ready to tackle a more complex project like the Rose. The projects range from beginner to challenging with some intermediate ones. A good cross section of degrees of difficulty. 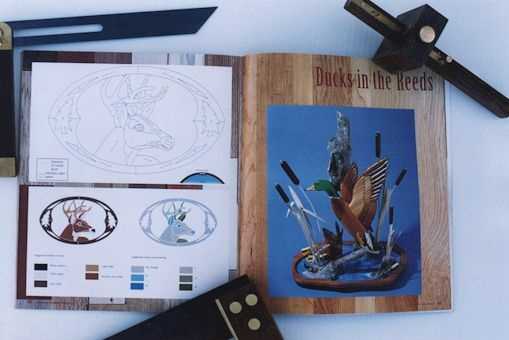 Each project comes with complete instructions, which woods to use, which pieces to raise and lower as well as close up pictures whenever a different technique is used. All pictures are in colour. 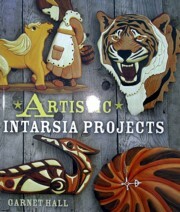 20 great projects, colour illustrations, 96 pages and step by step detailed instruction on the Craft / Art Form of Intarsia. Only $14.50 Canadian funds (Books listed US price)!